With over 29 years of experience, Dale’s passion and calling is to equip, encourage and empower churches to reach and disciple kids and families. He is a wealth of knowledge in children and family ministry in the local church. Churches and ministries both nationally and internationally look to him for children and family ministry ideas, insight and strategies. He invests in thousands of ministry leaders each year. Carey Nieuwhof is a former lawyer and founding pastor of Connexus Church. He’s the author of several best-selling books, including his latest book Didn’t See It Coming: Overcoming the Seven Greatest Challenges That No One Expects But Everyone Experiences. Carey speaks to leaders around the world about leadership, change and personal growth. He writes one of today’s most widely read Christian leadership blogs at www.CareyNieuwhof.com and hosts the top-rated Carey Nieuwhof Leadership Podcast where he interviews some of today’s best leaders. His podcasts and blogs are accessed by millions of leaders each year. 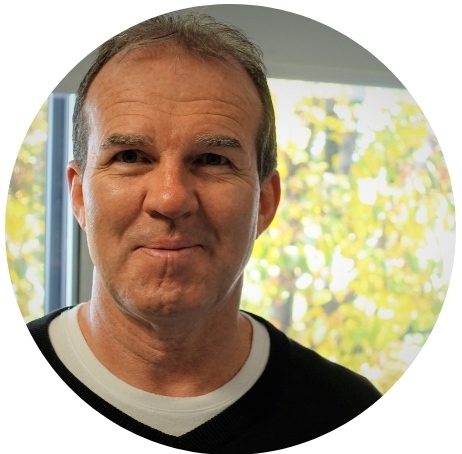 Bill has served as Lead Pastor of Central Community Church in St. Catharines, ON, a growing multi-generational church in the Niagara Region, since 2008. He is a dynamic communicator who harnesses the ability to translate the timeless truth of God’s Word in such a way as to connect with both the growing believer and the first-time seeker. He is passionate about seeing people discover their God-given potential and live it out passionately by serving others. 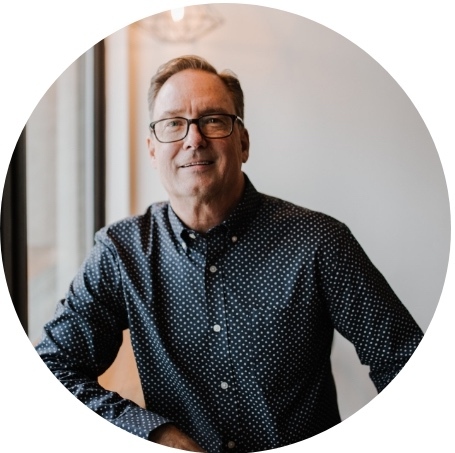 Bill always engages in honest conversation about leadership, creativity and the church and will be refreshingly transparent as he discusses lessons he is learning as a Lead Pastor in a growing, multi-staff, multi-generational church. He has been married to his best friend, Karlene, for over 25 years and they have three adult children, Reed, Tessa and Garrett. If you can’t find him at the church, you will most likely find him on the court where his passion for volleyball is seen in his commitment to coaching for the local high school and city travel teams. Bill has earned a Bachelor’s Degree in Theology from Summit Pacific College and a Master’s Degree in Theological Studies from Tyndale Seminary. He loves to read, dream audaciously and inspire others to do the same. Dwayne has faithfully pastored in Eastern and Western Ontario over the past 23 years. Over this time, he has expressed his passions for music, missions, youth, and young adults. His desire is to see others discipled, equipped, and empowered to serve in all areas of life. Dwayne serves to motivate the next generation of worshippers to extend their worship beyond the platform and into their everyday experiences. Dwayne is grateful for his wife of 23 years, Jodey, and his two teenaged sons, Justin and Nathan. Currently, he is the Associate Pastor for CONNECT & Worship Arts at PORTICO Community Church in Mississauga, Ontario. Carolyn has been a Kids Pastor for over 20 years. She is currently the Kids Pastor at Creekside Church in Waterloo and oversees 2 campuses, 4 kids ministry staff members, 350 volunteers and 500 kids each Sunday. She is passionate about helping kids ministry leaders be successful in kids ministry. She also teaches Children’s Ministry courses at Emmanuel Bible College. Carolyn is married, has 2 amazing teenagers and she loves to go to Disney World as often as possible. Shelly loves to write, speak, blogs regularly at www.shellycalcagno.com and has published a children's book, Tini's Tangles. 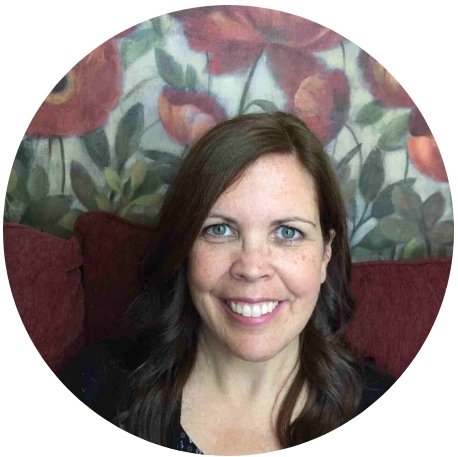 Shelly is a freelance writer and specializes in resource and curriculum development. She currently is a Family Ministry Pastor in the Niagara Region of Canada. 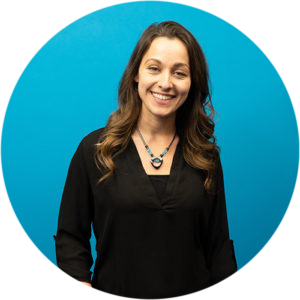 Shelly is passionate about being creative and inspiring people by bringing ideas to life. Mark is a passionate follower of Jesus Christ. He has been happily married to Wendy for 42 yrs. They are the blessed parents of three children and proud grandparents of three. Mark and Wendy live in Vineland Station, where they like to sail, cycle, surf and go for very short walks on the beach. He currently catalyzes “Regenerate” in the Western Ontario District where his role is to evaluate, develop and deploy Revisioning Strategies for worshipping communities. He also serves as a Church Tactical Consultant to many churches and denominations across Canada who have benefitted from his experience and approaches. His goal is motivating leaders and churches to optimize and implement the resources that God has given them. 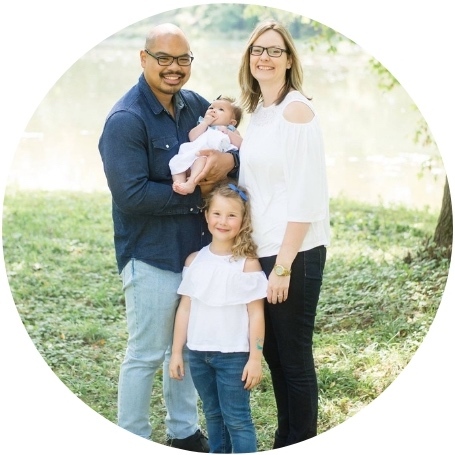 Suzi Danter has served the beautiful congregation of Parkwood Gospel Church in Windsor, Ontario as their full-time Children & Family Life Pastor for almost five years. She is a pastor's kid, a University of Windsor graduate, a grammar nerd, a sister to eight siblings, and a wife to one husband. Teaching kids about the Word of God through creativity, art, music, friendship and laughter has been a passion of Suzi’s for many years. She feels most at home in a room-full of kids, dressed up as a Bible character, mixing up accents, and hearing their sweet laughter at her corny jokes. 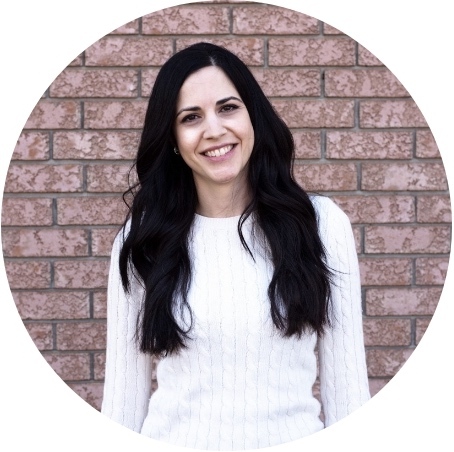 Natalie grew up in London and graduated from the University of Western Ontario with a Masters of Theological Studies. She is the Kids Ministry Pastor at Calvary Church, Woodstock. Natalie’s passion is to reach and teach as many children as possible with the Good News of God’s Love and in the process to enlist, equip, and encourage others to do the same. When Natalie is not in Woodstock she can be found sitting around the campfire with friends and family at her second home, Braeside Camp. Pastor Jenn Dungo has been on staff for at Royal View Church for 10 years and has over seen a variety of ministries while on staff. Currently she is the head of the Family Ministry Department and loves connecting with kids and families. She has a heart to connect kids and families to the heart of Jesus and connecting with the community to share the gospel of Jesus. 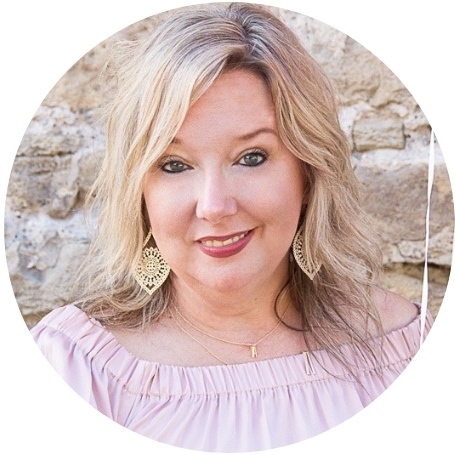 She has experience with set design, creative teaching ideas, growing a preschool ministry, using and intergrading technology in ministry, connecting the community and community agencies, adoptions and fostering. Pastor Jenn’s favorite time of the year is summer time and creating spaces and places for kids to connect during summer camps who may not normally come to church. Andrea Foster is a Christian wife, speaker, writer, and wife to Kirk. Together they are raising four teenagers. Their two youngest are 15 year old twin girls who were diagnosed with Tuberous Sclerosis Complex at five months old. This resulted in further diagnoses of epilepsy, autism, global development delay, anxiety and sleep disorder. Andrea and Kirk are challenged daily, yet they experience God-given joy, even in their circumstance. Andrea holds her MSEd (Disability Studies-Disability Ministry), BTh and ECE. 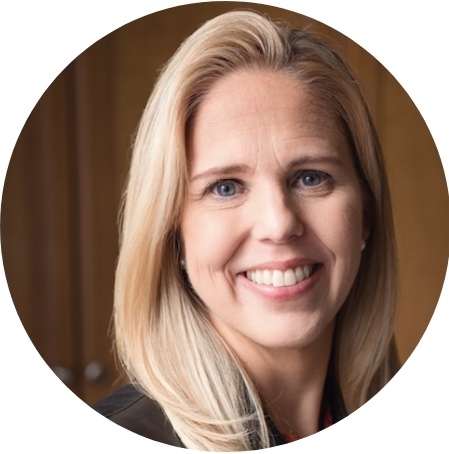 Her articles have been published in various magazines and she has appeared on 100 Huntley St. Andrea is passionate about equipping leaders for ministry with people with disabilities, as she introduces this much-needed conversation amongst Christian leaders. Gianpaolo Galessiere is a husband and father first. Actually, it’s where he gets all of his creative ideas from. He is a passionate communicator who loves to add an element of humour into everything he does. He also has the unique perspective of being a Youth pastor first, then Children's pastor, and now oversees Family Ministries. Jeff Harmon is an engaging communicator with a dynamic ministry to children and families. He and his wife Lori presently serve as senior pastors in Edmonton, Alberta previously serving as associate pastors for over 25 years, heading up a vibrant and influential children's ministry. He was voted by Group Magazine as one of the Top 20 Influencers of the Last 20 Years in Children’s Ministry and has trained leaders in this capacity all over the world. With a passionate desire to see believers of all ages pursue a deeper relationship with Jesus, he speaks at conferences, colleges and churches, bringing a seasoned word that stirs the heart. Jeff and Lori have been married for 34 years and have two married sons and one daughter and are thoroughly enjoying their three grandchildren. Christine is the Events Director for the Youth Ministries of the Western Ontario District PAOC. Her role is to create and lead conferences and retreats that pour into the students and leaders of the Western Ontario District. Her desire is to create an atmosphere in which God can move and His presence can change lives, while doing it with creativity, excellence, and an attention to detail. Christine is married to Tim, and they both have the desire to see the Kingdom of God advanced through creative means. She is a proud mom to her two sweet boys, Levi and James. Christine loves writing, volleyball, summertime, and home and fashion design. Ken McDonald has been a key participant of the church team at Parasource Marketing & Distribution for over five years. As a Church Resource Consultant he has worked with many churches, helping them find a curriculum that best suits the needs of their church. As a husband, father of three children and a grandfather, he has a heart for children’s spiritual growth. and will be presenting several different curricula to help you in your children’s ministry area. Cheryl B.TH (Religious Education); BA (Social Development); MA (Counselling) is committed to using her 25+ years in Children’s Ministry and 6+ years being a parent to help resource parents to be the primary spiritual influence for their children. She currently serves as Family Life pastor at Glad Tidings Church in Burlington. 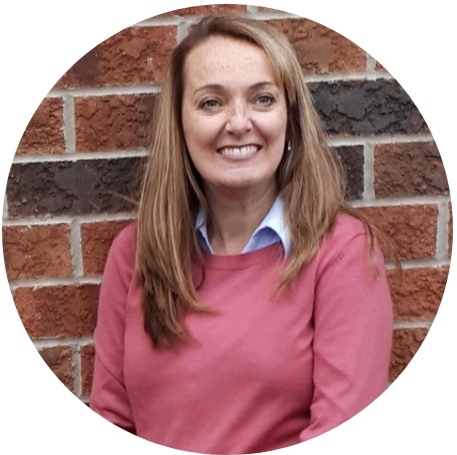 Cheryl is also a Registered Psychotherapist specializing in children and families who are experiencing a loss, and has her own private practice in Burlington. Her favourite thing is to be with her husband and with God’s help, to be the best mama she can to her two amazingly curious boys, who keep her on her toes and her knees. Cindy serves as the Children and Family Ministries Director of the Western District of PAOC. She is married to Mark and is mom to their two sons, Curtis and Aaron. She has been involved in kids ministry for over 20 years, travelling across Canada with Rubber Chicken Company, serving on staff at churches in kids ministry, and teaching and speaking at various leadership events. Her passions include helping people grow in their gifts and abilities, equipping leaders with tools and resources to effectively disciple children and families, and seeing people come to know Jesus. Cindy recently completed her M.A. in Spiritual Care and Psychotherapy, and is a Registered Psychotherapist (Qualifying) with a private counselling practice in St. Catharines, Ontario. Brady Shearer is the CEO of Pro Church Tools and the creator of Nucleus and Storytape. Brady’s work centers upon helping churches seize the 167 hours beyond their Sunday services and navigating their ministries through the single biggest communication shift we’ve seen in the last 500 years. Nicki's passion and energy are contagious as she brings over 20 years of kids ministry experience to the table. She believes that kids in ministry become adults in ministry and believes her destiny lies in helping kids young and old understand and walk in the revelation of who they are in Christ. She is the author of Superhero In Me, a workshop based program designed for public school classrooms that empowers kids to change their world using kindness. She is a curriculum writer and program developer with a heart to teach kids how to think and live their lives with Kingdom perspective and Holy Spirit anointing. She is currently the Family Ministries Pastor at Freedom House in Brantford, Ontario. She is a regular contributing writer for www.kidology.org and Kidzmatter magazine She has two adult children and lives with her husband in Brantford, City of God! Kendra has a Master’s in Education and is the Children and Youth Pastor at Generations Church in Brantford. She has been teaching in the public school system for 10 years and has served in ministry since she was a youth. Kendra is married to her husband Dan and together they have three beautiful children – Luke, Aliyah and Titus. She has a passion for discipleship and seeing others grow in their relationship with Jesus. She also enjoys quality time with family, lounging in the pool and Mom’s nights out. Patrice Wheeler currently serves as a children's pastor and the Next generation lead at Global Kingdom ministries in Toronto. Her passion is to see children's lives changed for eternity and to ignite others to do the same. She especially enjoys doing ministry alongside children by taking kids on missions teams around the world and learning from the Next generation of leaders in Children's ministry, while teaching part- time at Masters Bible College. Tanya Yuen is an ordained pastor with the Canadian Baptists of Ontario and Quebec where she serves as Children and Family Ministries Associate. She brings both a blend of hands on experience in children and family ministry in the local church as well as leadership development and administrative experience. Tanya is grateful for the opportunity to come alongside churches and ministry leaders seeking to grow in ministry effectiveness with children and families, particularly in intergenerational communities of faith. More importantly, Tanya is a wife and mother of 3 young girls and along with her husband, deeply invested in helping to create an environment both in the home and in church where the spiritual lives of children can be nurtured.